Being able to see the context of a specific log message is one of those highly sought out features in Kibana that still seems to be missing (though we can see the light at the end of that long tunnel now!). We’ve had this functionality in Sematext for quite a while, actually. What does it do? To explain that, let’s provide some…. well, context. When you’re troubleshooting and inspecting logs what do you do? 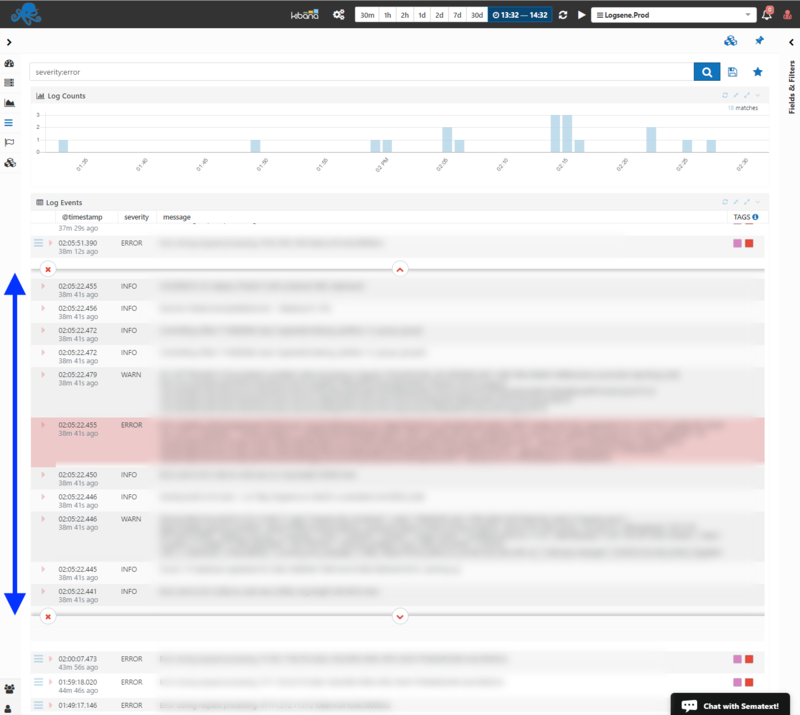 You search and filter logs to narrow things down, to find log messages that will help you understand what, how, why, or when something happened. The key part here is that you search, and when you search what you typically see are only logs that matched what you searched for (think grep). However, if you were to manually look at a log file with less, or tail -F for example, you wouldn’t see only matching log lines. You would see all events, so after locating the log event of interest, you would still be able to see all log events before it and after it. 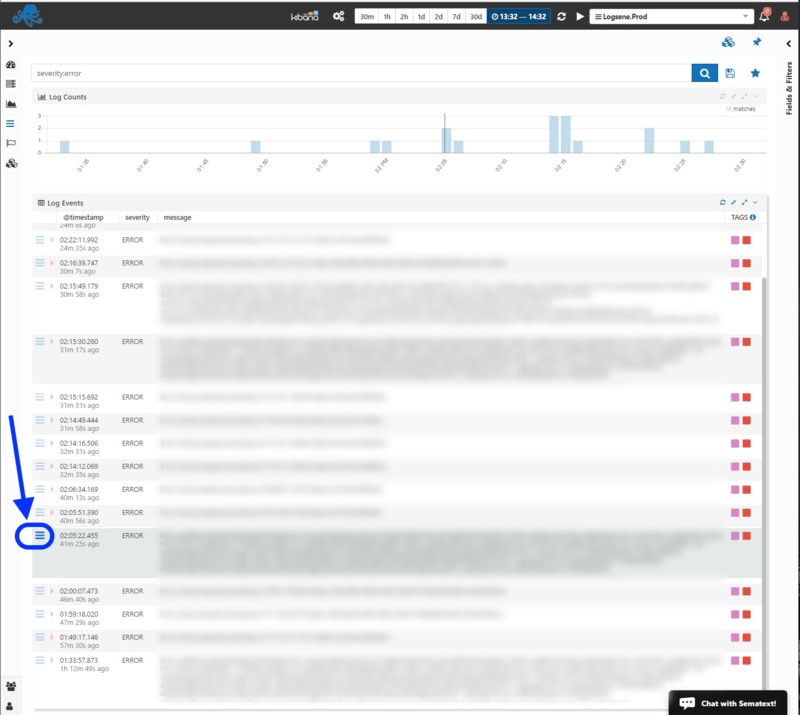 Need your logs searchable + see log event context? Sematext Cloud is the first All-in-One Monitoring & Logging solution. 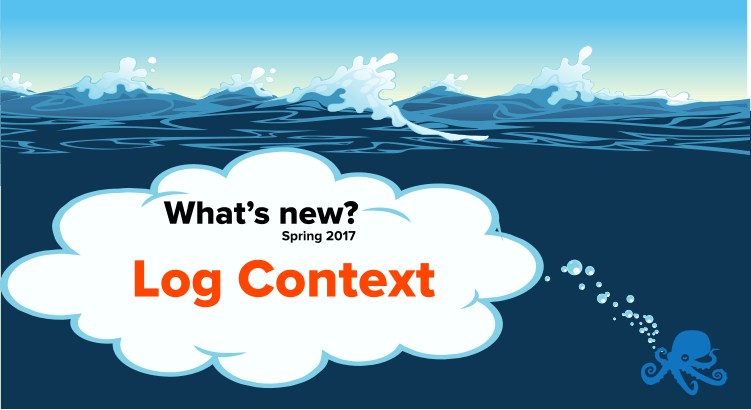 Log Context in Sematext Cloud is much like that. Once you’ve found a log event of interest a single click will expose its context. It’s like grep -C NUM, but applicable across all your infrastructure, not just one log file at a time. Step 1: Click on the Log Context button for the log event of interest. Step 2: Easily scroll down and check the log context. And that’s it! Two steps to Log context. As simple as that! Want to be able to easily filter your logs, but also see all context around individual log events? Try Sematext Cloud free for 30 days!